When it comes to investing in a major smile transformation like dental implant supported tooth replacement, it’s important for patients to keep in mind the out of pocket costs associated with the treatment and take the time to budget before they begin. At Ritchie Dental Group, our knowledgeable dentistry team members are here to help you plan for the costs of implant supported tooth replacement, and we assist patients in creating budgets, maximizing dental insurance, and finding financing options when necessary. 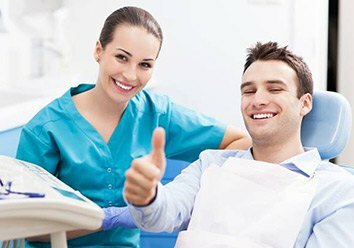 On this page, you’ll find some of the basics to help you understand what to expect during implant supported tooth replacement, but the only way to plan for your unique implant tooth replacement plan is to call our team to schedule a dental implant tooth replacement consultation in one of our two convenient dental office locations in Marble Falls and Brady. The specific costs associated with implant supported tooth replacement are truly dependent upon your unique situation. The number and position of missing teeth and even your geographic location can significantly change the average pricing. In our Marble Falls and Brady dental office locations, a single implant post may cost anywhere between $500 and $3000 (sometimes more). For this reason, we really need to take the necessary time to evaluate the situation and help patients choose the best treatment options that also fit their budgets. During your tooth replacement consultation, we’ll take the time to walk you through every step of the process, explain the cost, and discuss plans to budget for these treatments. What Other Factors Affect the Cost of Care? 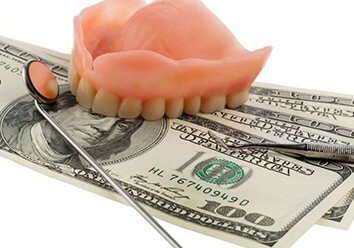 In most cases, your dental benefit plan will not cover the cost of the implants and their placement. Unfortunately, dental insurers are notoriously slow to adopt new treatments for plan coverage. Examples of this include the fact that annual plan maximums for dental insurance have been between $1000 and $1500 since the 1960s, and orthodontic treatment wasn’t covered routinely until the 1990s. Dentists and dental researchers hope that insurers will begin to recognize the benefit of providing coverage for dental implants in the near future. 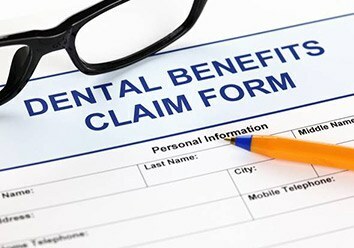 In the meantime, our team members will help you leverage your benefits for other aspects of the treatment process that are typically covered by insurance policies, including your replacement teeth and preparatory treatments. In order to allow patients to fit the out of pocket costs of care more easily into their budgets, we bill for each step of the treatment plan on the day you receive the service rather than all at once. Additionally, we are happy to accept payment with funds from health savings accounts (HSA) and flexible spending accounts (FSA). If your benefit package includes these options, please let us know. In many cases, we can accept payment directly through your HSA or FSA, but some programs are set up for reimbursement. We will be happy to assist you in using these funds as payment or getting reimbursement. Our office is also happy to accept payment through third party financiers like CareCredit and LendingClub. These companies both specialize in financing for healthcare, and they offer qualified patients low and no interest payment plans. You can prequalify online for financing through CareCredit and LendingClub, and you can also feel free to talk to our team about your options during your visit.